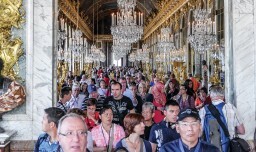 In 2014, the number of international tourists reached 1.14 billion, 51 million more than in 2013, according to the World Tourism Organization, making it the fifth consecutive year of above-average growth in global tourism since the 2009 economic crisis. At the same time, the majority of the sites all those travelers are visiting aren’t getting any bigger. This article provides several sample solutions that can be put into place in order to control the amount of visitors in the tourism places.